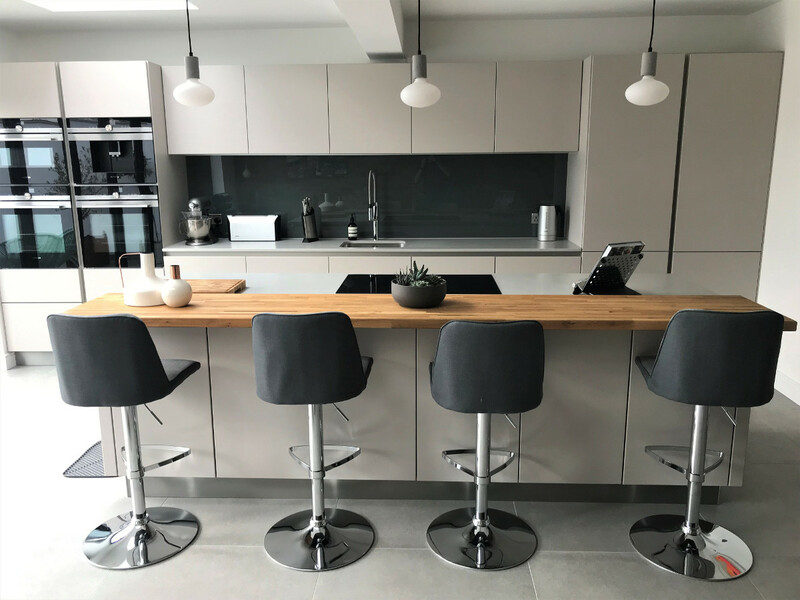 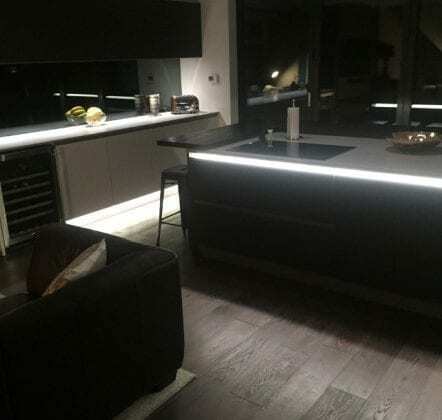 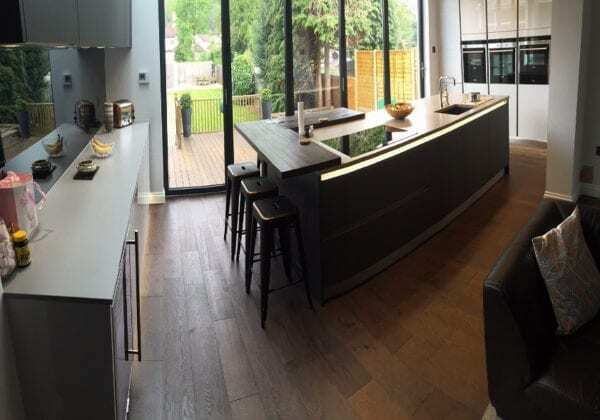 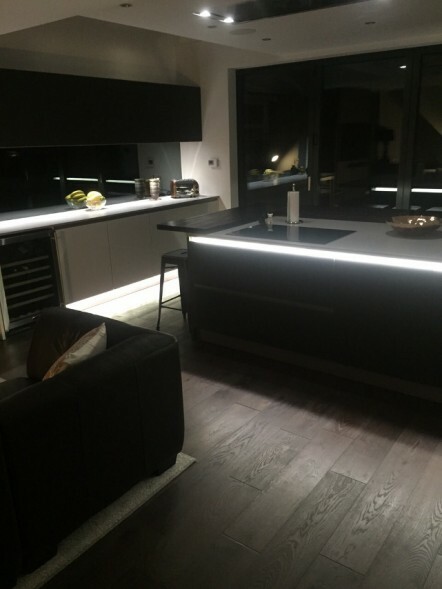 The units are from our Next125 range and are in Crystal grey high gloss for the main kitchen with the island fronts in Lava black glass matt finish. 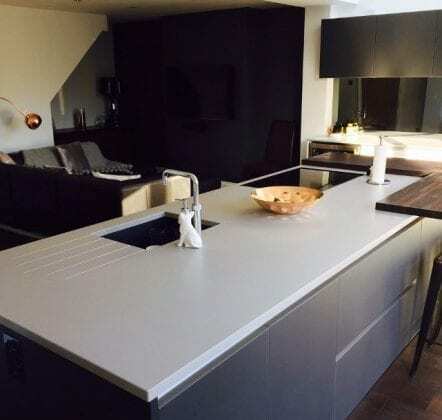 The island has an additional L-shaped breakfast bar made from wood in Wenge at 40 mm thick with the main worktop in Quartz stone. 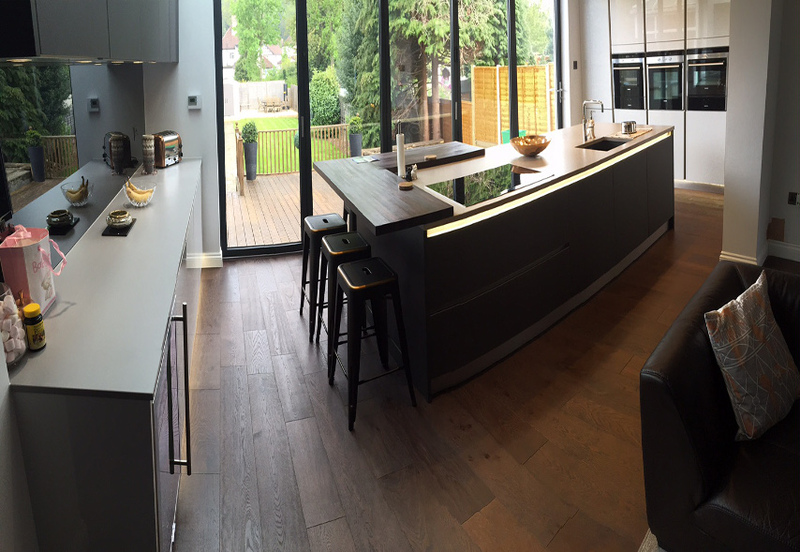 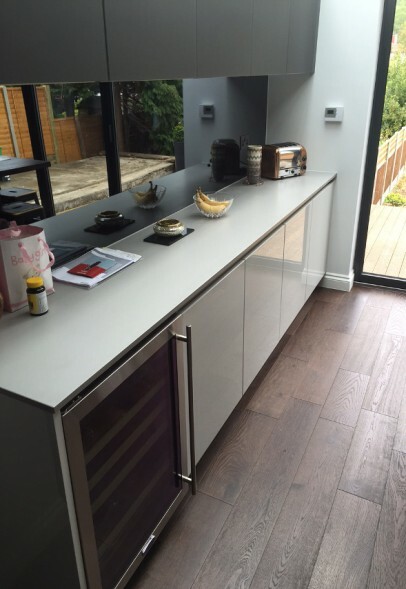 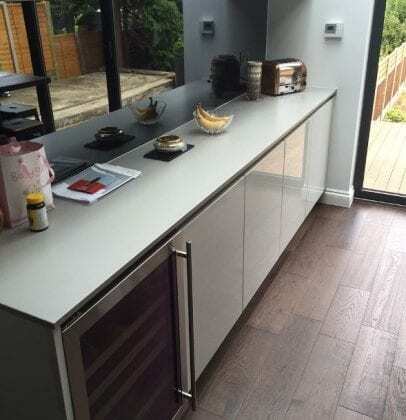 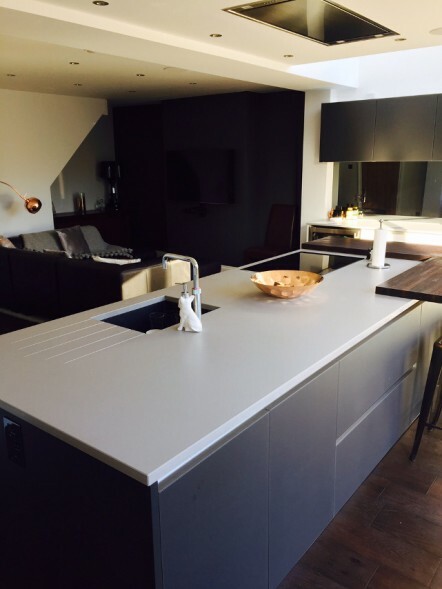 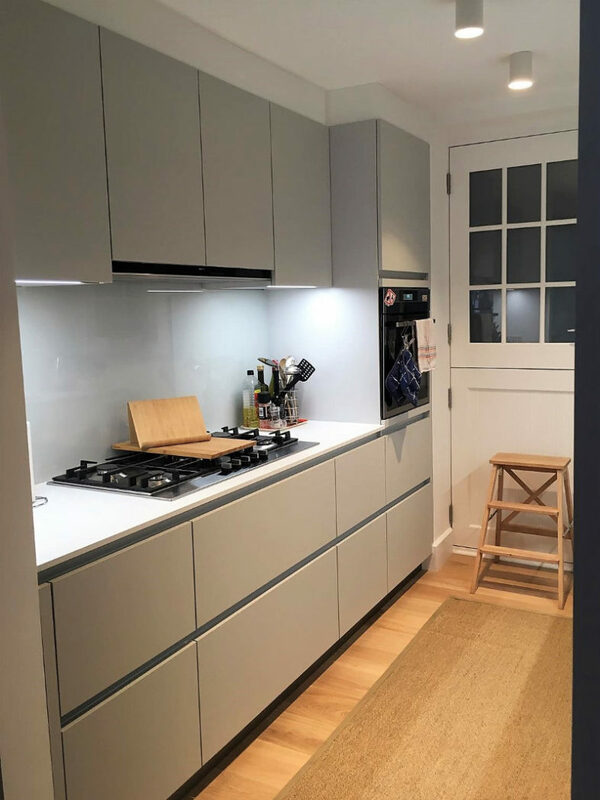 The wall units are 625 mm in height and the interiors for all units throughout the kitchen in Quartz grey.